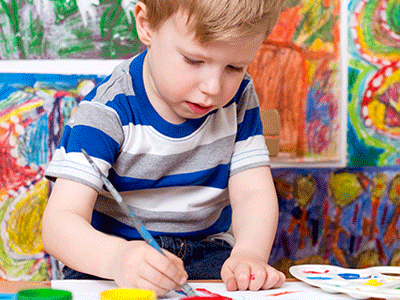 Psychological testing procedures for autism include assessing children’s cognitive abilities. Innovative SLP is experienced with testing for Autism Spectrum Disorder in order to develop the most appropriate treatment programs and therapies. The testing will provide essential information for the formulation of treatment approaches and management strategies. Tests involve measuring the child’s expressive and receptive communication skills. Verbal and nonverbal communication abilities will be measured. Pragmatic language skills will also be tested. A comprehensive assessment will include an evaluation of oral motor and speech motor systems. Receptive and expressive language testing includes non-speech motor functions, speech motor functions, articulation and phonological performance, and language performance. Children will be evaluated for posture, fine movement, oral movement coordination, mouth posture, chewing, speech attempts, fluency, amount of verbal output, sound repertoire, reluctance to speak, and interactive abilities. Another important measure is the child’s hearing abilities. Some parents of children with autism report unusual auditory response. An auditory assessment will include a hearing test to check for abnormalities or conditions. For additional information regarding psychological testing for autism at Innovative SLP, please call our office to schedule an appointment.